Relaxation is one of the benefits of developing a regular meditation practice. Guided by a skillful teacher, you learn to relax tension in head muscles, particularly the jaw, and neck and shoulder muscles. A correct posture, achieved by imagining a piece of string kept taut and coming from above and moving down the back of the top of the head and spinal column, helps to hold the head and shoulders back allowing for the chest cavity to open, more air to circulate in the lungs, and for the great solar plexus muscle between the lungs and the abdomen to act as a bellows. It is important to sit with a straight back either on the floor or ground or in a chair with your hands loosely resting on your knees. As more oxygen enters the blood stream, every cell is fully energized. Fingers and toes tingle. Breath deepens and slows. After only some practice a relaxed body allows for inner mental spaciousness and lays the ground to begin intensive concentration practices—for beginners usually based on the reference point of the rise and fall of the breath—until you feel confident that you can concentrate on the breath with single-minded attention. One of my students wrote that by focusing on the breath our mind and body synchronize, increasing our blood flow, oxygen intake, and even mental capacity. Meditation is about simplicity. Every person has reasons to be happy, reasons to be thankful, and finding them is as easy as focusing on the one common gift everyone can be thankful for: the breath. Concentration practices are among the most intense mental exercises you will undertake. It is normal for the mind to be filled ceaselessly with thoughts. As you are able to concentrate more and more on the breath and like a laser beam shine a thin intense ray of concentration onto your breath, yoking your mind with the breath, you become more aware of the frantic nature of your roiling thoughts. Do not tense the mind to reject the thoughts, rather practice what one of my meditation teachers called “Teflon” mind; do not let anything stick. As thoughts, emotions, memories, the whole of our internal Easter parade floats by, name the thought and let it go. After only a few sessions of this practice, and using the breath as a constant reference point—“come back to the breath”—I will remind students again and again, you will find that your mind becomes clear and diamond sharp. Relaxed body and concentrated mind is what we are practicing. Another student wrote that our class meditation was deeply relaxing but also a focusing activity. He describes how in deep meditation all perception of space melted away, even the perception of where parts of his body were. By stripping away concentration to the outside world, he was left with only the feeling of existence. He reports that this psychological presence was the simplest and most elegant form of existence. In a deep, relaxed but concentrated state it is easier to accept the idea that all we have to experience is each precious individual moment. We can let go of the past and not worry about the future. We begin to realize that every prior moment was necessary to bring us to this present one, and this chain of continuity can be relied on until the last nano-second that we are breathing. Meditation allows us to have a penetrating connection with the world through the realization that we all exist in the same ocean of breath—we breathe the same air and are interconnected through this simple act. This realization allows us to feel connected in a new and vital way. We breathe the same air as Hitler, Idi Amin, Gandhi and Mother Teresa. A student states that through just one simple breath you embrace the wholeness of the earth and all of its creatures, becoming part of something greater than just self. One student eloquently describes this sense of well-being. He writes, so for me, meditation is an act that is passionately active, one that bases its practice on improving the human condition, on bettering the well-being of others around us. When I end a session on meditation, I can already feel the effect that a mode of deep contemplation and reflection has on me. For one, with my body relaxed and at ease, I am naturally happier; I am more prone to laugh, to smile, and to interact with others. And with my mind cleared of the clutter, I possess a natural tendency to exude a feeling of optimism that catches on with those around me. Thus meditation influences others and me. This student offers a powerful summation of her experience. (Possibly all our experiences.) She writes that by letting go of my body, but also being completely aware and grounded in my seat, I feel I was able to connect to some greater power. Coming out of meditation I was often astonished by the greatness of humanity and all it could achieve with the possible realization and development and gentleness that accompanies this type of enlightenment. It is essential that we realize the power of our perception, because I have learned that ultimately, it is in my power alone to control and make peace with everything I face, because what I choose to believe in can be all that exists. I hope you continue to write simply because I share your views and I would adore to read much more of your material. This is amazing info. Needed to create you this little word to say thank you again for your gorgeous basics you have provided on this page. This is quite pretty open-handed of people like you to provide unhampered what a number of people could have offered for sale as an e book in order to make some cash on their own, precisely now that you could have done it if you wanted. Those thoughts as well worked to provide a easy way to be aware that other people online have the identical interest the same as mine to figure out much more related to this condition. I believe there are numerous more pleasant instances in the future for folks who check out your blog post. Wow, superb blog layout! How long have you been blogging for? you make blogging look easy. The overall look of your site is fantastic, let alone the content!. 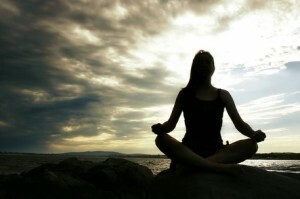 Thanks For Your article about 50Myths about Meditation | 50janetlevine.com . yoga is really important. the yoga has been started by Indians and there many indian’s who practice yoga daily and feel energetic after doing it. Nice post. I was checking continuously this blog and I am impressed! Extremely useful info specifically the last part 🙂 I care for such info a lot. I was looking for this particular information for a very long time. Thank you and good luck. It is perfect time to make a few plans for the long run and it’s time to be happy. I’ve learn this post and if I may I want to suggest you some interesting issues or advice. Maybe you could write next articles relating to this article. I want to read even more issues about it!